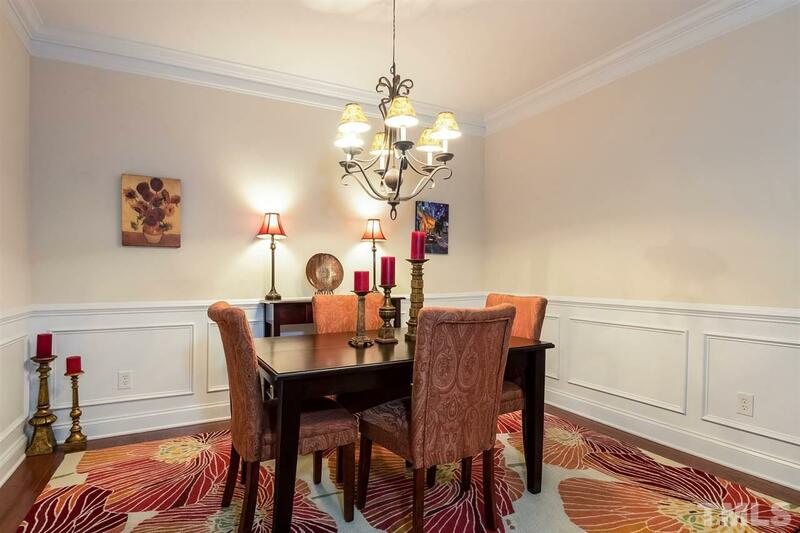 Beautiful penthouse in desirable Cascades Condos. Single level living with elevator. Cherry hardwood floors & cabinets. 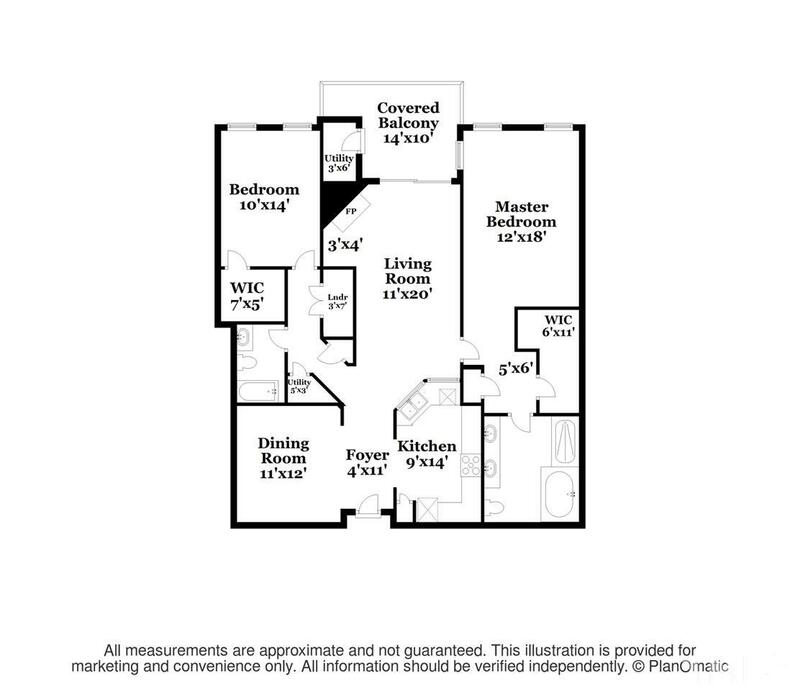 Spacious kitchen w/granite, stainless steel appliances, gas stove and tile backsplash. 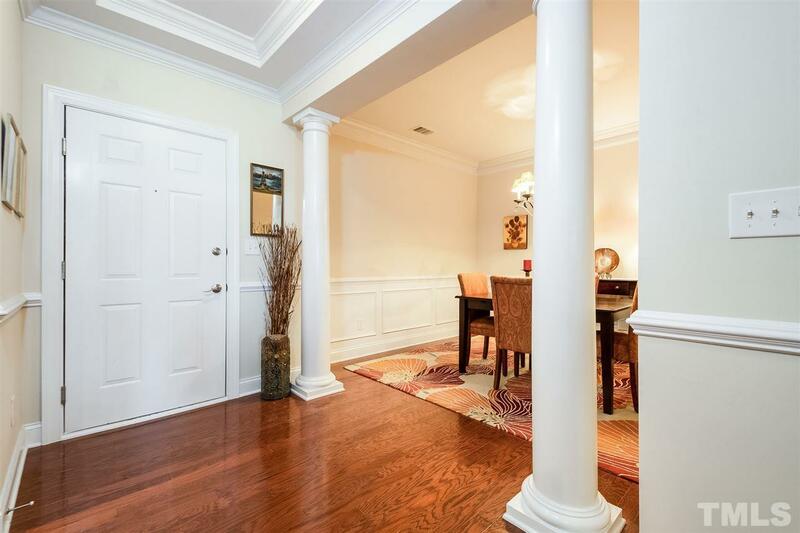 Elegant formal DR framed by double pillars & wainscoting. 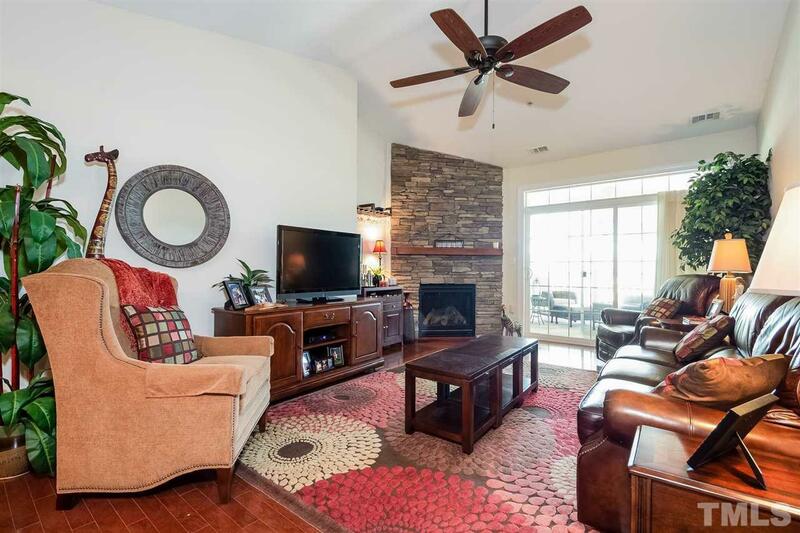 Cozy family room w/corner gas log stone fireplace. Two spacious bedrooms each with own bath. Large deck/porch with Trex. Single car garage. Enjoy country club living and close to shopping. restaurants and all the Triangle has to offer.